To support The Joan Dancy & PALS Foundation in the name of Sinderella's Ball. 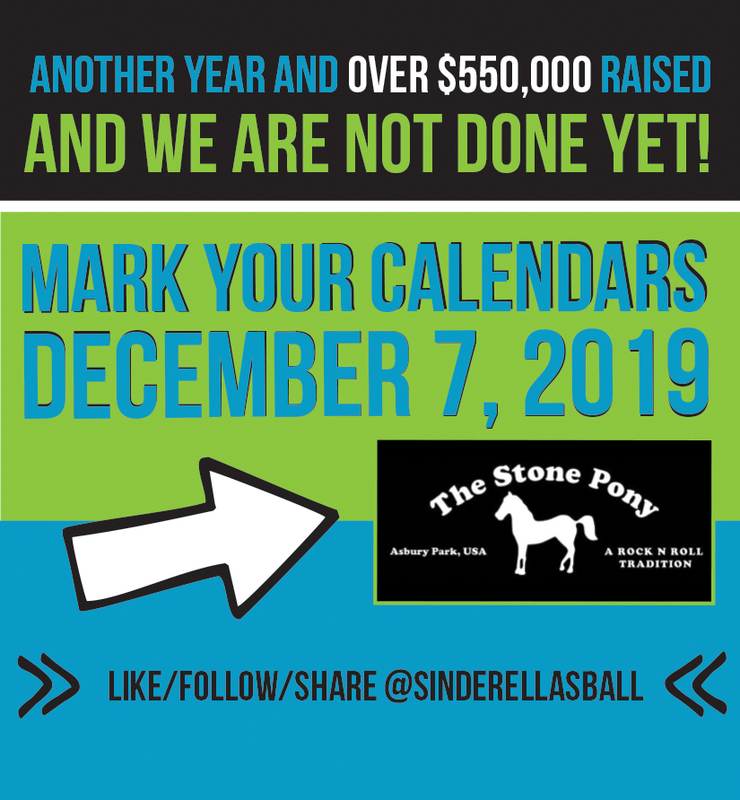 This past year, we all came together to celebrate the 5th Annual Sinderella's Ball at The Stone Pony. We had over 60 fabulous raffle baskets, over 25 amazing silent auction items and some of the most talented musical entertainment! Most importantly...all of you that came out to Asbury Park on a cold, December night and made it possible to raise over $115,000!! This brought our 5 year total to over $550,000. All of this money has been donated to Joan Dancy & PALS - and will make a HUGE difference in many people's lives. And now it's time to do it again!!! SAVE THE DATE, DECEMBER 7, 2019!